New MVP Costume Items are available inside each of the MVP Special Rewards boxes! 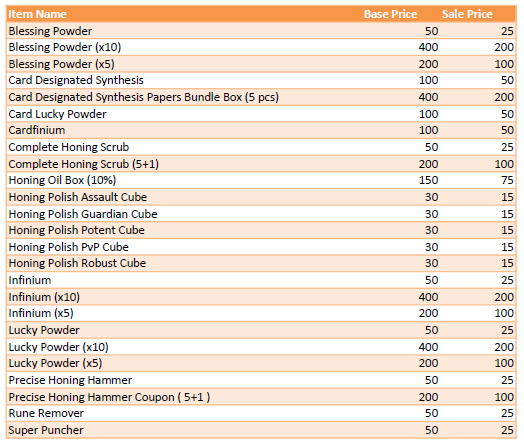 A Seasonal Sale on Upgrade, Honing, and Card Items! A spooktacular random box of wings has been added to the Phantom Pyramid! It's time for the monsters to come out and play. We have so many events going on, it will be hard to keep track of them all! Whether you'd like to Trick-or-Treat or save Izlude, our Halloween Event has something for everyone! For details, click here. - Acquiring an MVP card should no longer complete active quests. -Greedy Mine should again be accessible.